Eliza J. Print Dress. Usually Peacock prints incorporate some shade of blue. I love that this one is purple and pink! 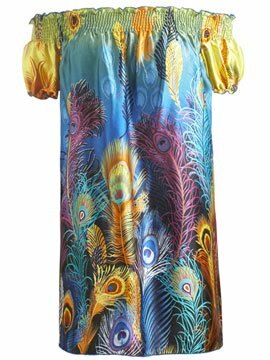 Peacock print prom dress. I tried to keep all items under $100 but I couldn't resist including this $500 number. Peacock feather print maxi dress. The quintessential maxi dress...now in peacock. Lauren Moshi sweats. Peacock sweats? Are you kidding me? So cute. Strapless short jumper. The brilliant blue color of this cute little romper had me even before I noticed the adorable peacock feather. Rescue Me Peacock Print Shorts. Hands down these shorts are the coolest ever. Border Peacock Print Tunic. This cute shirt is on sale for only $29. One of the best values in this post! Smocked Peasant Top. I love the screen printed look...casual yet easy to dress up with dark rinse skinny jeans. Love Peacock Tube Top. Just look at this adorable shirt. Enough said. Ringspun Peacock Tee. The lovely detail (pleats and beading) make this tee stand out. 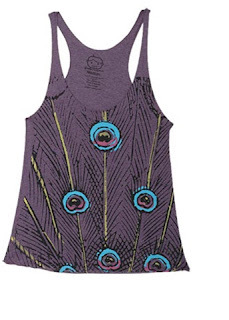 Sketched Peacock Racerback Tank. How cute is this pop art tank? 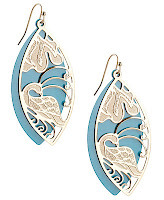 Laser Etched Peacock earrings. Forever 21 ALWAYS comes through. Search "peacock" for a bunch of other adorable peacock items I ran out of time to include! 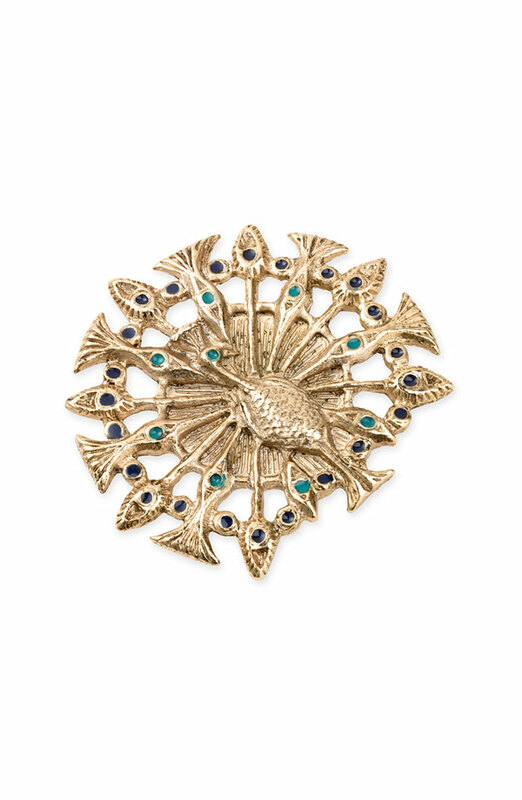 House of Harlow large peacock statement ring. I love this whimsical ring. I can just see wearing a plain green tank, white jeans, this ring, and other gold accessories. 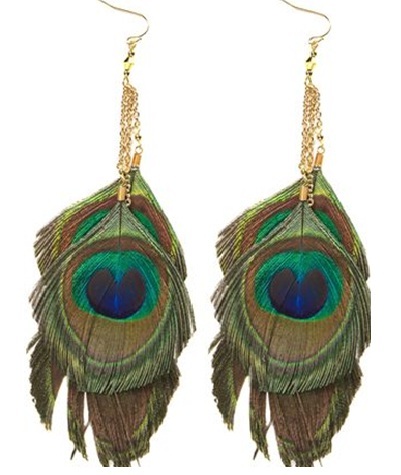 Triple peacock earrings. 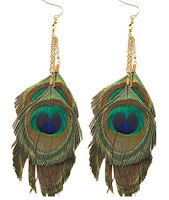 These are the typical peacock accessory. But they prove that typical isn't always a bad thing. 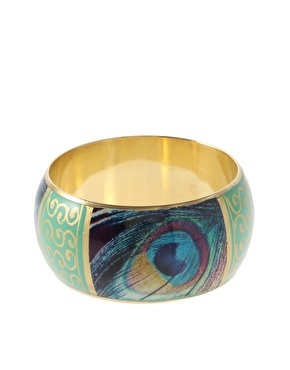 Handpainted Peacock Bangle. 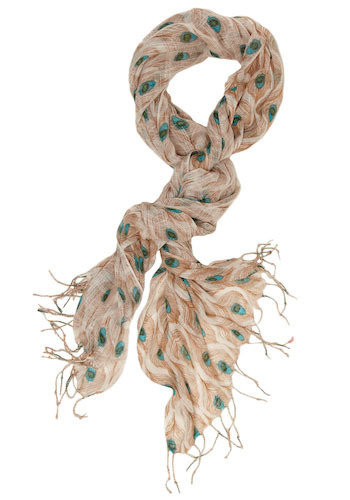 All Eyes on Me scarf. 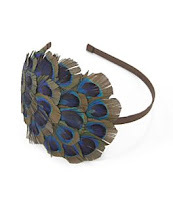 Natasha Accessories Feather Detail Headband. Would it be wrong to wear all three of these accessories together? Because I want to.